Door County is quickly on its way to becoming one of the nation’s top wine producing regions, and for good reason! Unique wineries are popping up all over the peninsula to produce truly remarkable wines made with fresh grapes and locally-grown fruit. One winery that has created a noticeable presence in the wine community is Harbor Ridge Winery in Egg Harbor. This local favorite produces award-winning wines that deserve a spot on your own wine tasting radar. Here is everything you need to know about Harbor Ridge Winery and some of their most popular selections. Harbor Ridge Winery is just one of the many incredible places to get a taste of Door County. Request your free copy of our Vacation Guide for a full list of the best local restaurants, wineries, breweries, and local attractions that you won’t want to miss. Nestled in the charming town of Egg Harbor, Harbor Ridge Winery produces handcrafted wines, cheeses, and soaps in a cozy log cabin setting. The captivating atmosphere is the perfect spot to unwind with a glass of your favorite wine and shop for unique products you won’t find anywhere else. Using only the finest ingredients, Harbor Ridge creates delectable wines that are so delicious that one glass will hardly be enough to satisfy! Here are just a few of our top picks that you certainly will want to try for yourself. Crimes Against Vines: This semi-sweet red wine is simply captivating! It is a Marquette and cherry blend with flavors of raspberry, dark plum, cherry, and chocolate. A subtle vanilla finish will leave you thirsty for another sip. Carmen’s Last Dance Wine: It’s a burst of irresistible fruity flavor! You’ll love the rich and full-bodied drink made from fresh Concord grapes. Pair it with your favorite Harbor Ridge Winery cheese for a truly irresistible wine tasting experience. Mademoiselle: This white wine is a Harbor Ridge original! Chardonnay, Traminette, and Sauvignon Blanc all come together to create a luscious honey taste and a bright apricot aroma. Harbor Ridge Winery is just the beginning of your wine tour in Door County. Here are even more fantastic wineries that you’ll also want to add to your itinerary. Stone’s Throw Winery in Door County: They use inspiration and fresh grapes from California’s Napa Valley to bring you truly succulent wine selections. They are created in French oak barrels and crafted with undeniable passion. Door 44 Winery: Situated at a 44 degree north latitude, this winery shares the same parallel of famous wine-producing regions including Bordeaux and Tuscany! They honor the age-old traditions of growing grapes while celebrating their own unique wine-producing techniques. Lautenbach’s Orchard Country Winery: Located on 100-acres of blossoming orchards, this attraction is the perfect destination for tasting delicious Door County wine, sampling freshly grown or baked goods, and shopping for gifts! Complimentary wine tours and tastings are available year-round from 10 a.m. to 4 p.m. each Thursday-Tuesday. After a full day of exploring local wineries, come back to The Ashbrooke for some well-deserved relaxation! 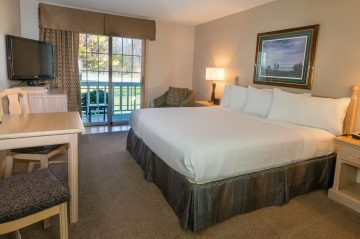 Located in the heart of Door County, our adults-only hotel offers numerous amenities including luxurious rooms, an indoor pool and easy access to all of Door County’s great restaurants, museums, galleries, and more. View our specials to find out how you can make the most of your trip!